Back when I had a real job I often wanted to take notes that I could store on my computer without actually having to take my computer with me to a meeting. I also had to endure the irritated looks my lab partner gave me when I was typing away on my notebook during class in college. IOGEAR has announced just the ticket for the times when you don’t want to use your computer to take notes, but want to be able to get the notes into your computer to store. IOGEAR announced today its new Mobile Digital Scribe that allows handwritten notes to be written on standard paper using standard ink from an included pen. 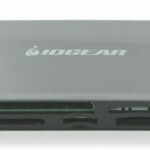 In fact IOGEAR says that the GPEN200N can capture handwritten information from any surface. 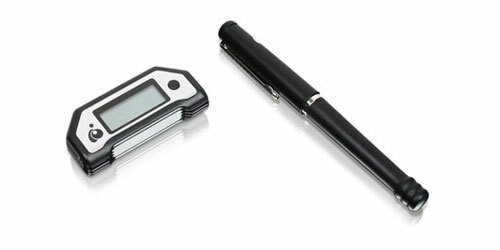 The handwritten notes are stored in the ultrasonic transmitter and a special infrared pen that uses normal ink is required for the system to operate. The pen is included with the system. IOGEAR says that the system has full editing capabilities as well so you can modify notes as needed. Notes can be exported in JPEG format and shared with others via email or IM applications. The device supports 12 different languages including English, Spanish, Traditional and Simplified Chinese, French, Dutch, Italian, German, Portuguese, Swedish, Korean, Japanese, and Russian. Once your notes are stored in the device you can transfer them to your PC via USB. 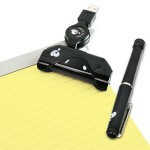 The Mobile Digital Scribe is available now for $129.95. 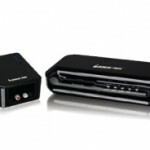 IOGEAR is probably best known for its networking and audio products, like the Powerline Music System announced at CES 2008.